Elected co-mayors from the opposition pro-Kurdish People’s Democratic Party (HDP), Feyme Filiz Buluttekin and Cemal Ozdemir, have received the mandate for the Sur district of the southeastern Diyarbakır province. Buluttekin and Ozdemir, who took 60 and 76 percent of the votes, respectively, in the Sur district during the March 31 local elections, received their position mandate from the district election board on Friday, according to a news report by the pro-Kurdish Mezopotamya News Agency (MA). MA reported that the police blockade in front of the municipal building, existing for two and a half years, was lifted after the co-mayors took their offices. Notably, after the failed July 15 coup attempt in 2016, 95 elected HDP mayors in predominantly Kurdish cities were deposed and replaced with appointed trustees, as part of a crackdown by the ruling Justice and Development Party (AKP) on the opposition HDP. 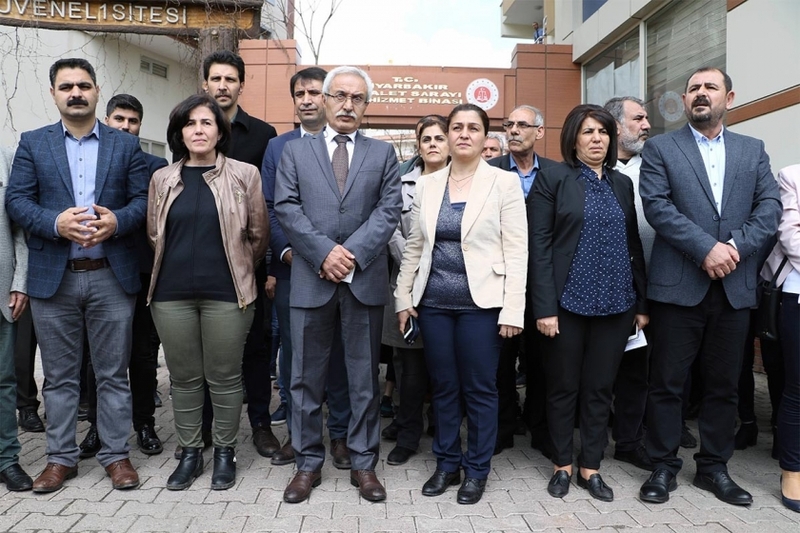 The Supreme Electoral Council (YSK) was condemned on Thursday by the opposition HDP for its decision not to issue mandates to opposition mayor-elects who were previously dismissed from their public sector jobs by decrees issued by the ruling AKP. Instead, the mandates would be given to the runner-up candidates, according to the YSK ruling. So far, the ruling has affected at least six mayor-elects from HDP, which claims the YSK has become “a part of a designed political conspiracy” with its controversial move. According to Ahval news, more than 40 out of 70 HDP candidates who won in the local elections have still not received their mandates without any explanation by the election authority.